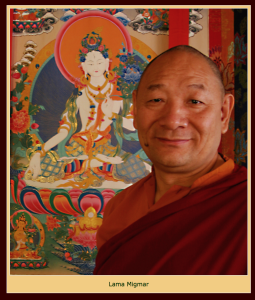 We are glad to welcome Khenpo Migmar Tseten, who will teach on PRAJNAPARAMITA and TANTRA. Lama Migmar will kindly discuss how the Heart Sutra is complementary to the four foundations of mindfulness meditation and how it is also indispensable in establishing the perfect view of emptiness to practice the creation and completion stages of Deity Yoga in Tantric sadhana practices. 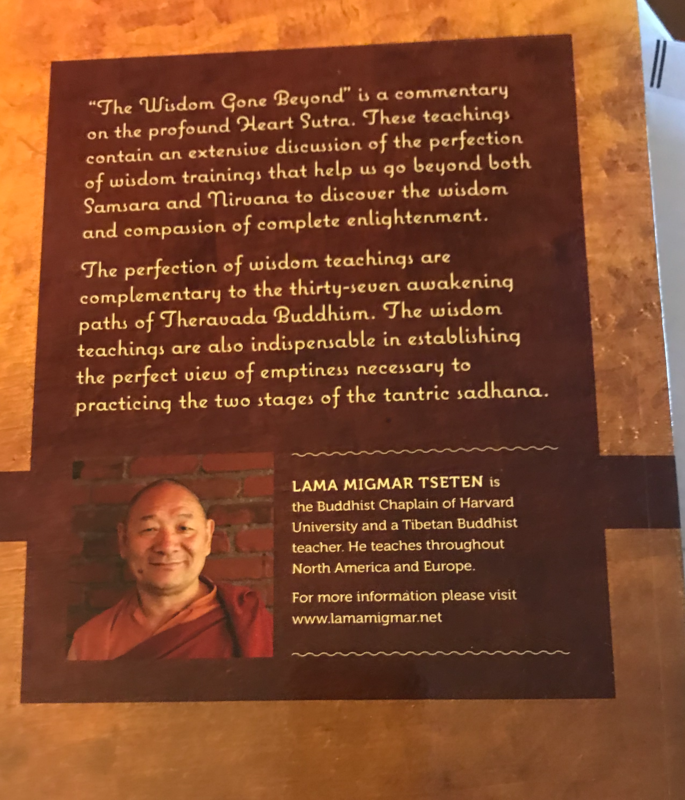 Lama Migmar teaches in clear, fluent English with an empathy and understanding of the needs of students, and he is patient with all questions. Lama Migmar has been serving Harvard University as a Buddhist Chaplain since 1997. He received both a traditional and a contemporary education in India. He graduated with an Acharya degree in 1979 from Tibetan Institute of Sanskrit University, Varanasi, India, and with first position every nine years among four schools of Tibetan Buddhism. He was awarded a medal for academic excellence by His Holiness The Dalai Lama. He was also recognized as Khenpo for his scholarship and service to the Dharma by His Holiness Sakya Trizin. Lama Migmar served as the head of Sakya Center in Rajpur, India, and the Sakya Monastery in Puruwalla, India, from 1981 to 1989, taking care of the well being of several hundred monastic residents. During this time he reintroduced the original form of the geshe educational system of Tibet, with degrees from kazhipa up to the rabjampa degree, with a curriculum that included all of the eighteen major texts, which are known as the Dragchen Chogyed. Additionally, Lama Migmar supervised the editing and publication of over 50 rare volumes of Sakya literature including the 31 volumes of Sakya Lamdre and the rare Golden Manuscripts of the Five Founding Masters of Sakya. He founded Sakya Institute for Buddhist Studies in Cambridge, MA in 1990. He leads retreats at Buddhist centers throughout North America and Europe. He has created online teaching programs, and he is the author, editor and translator of a number of books. He is also a recent visiting teacher at 1440.org in California.